Chris Packham uncovers the planet's cleverest creatures, from navigating bees and lock-picking cockatoos to the best animal problem-solvers of all, crows. Have you ever wondered what it would be like to be an animal? This series gives startling and revelatory answers. Combining jaw-dropping demonstrations of animals' abilities with revealing photography, Chris Packham travels the world to uncover the secrets of the animal mind. 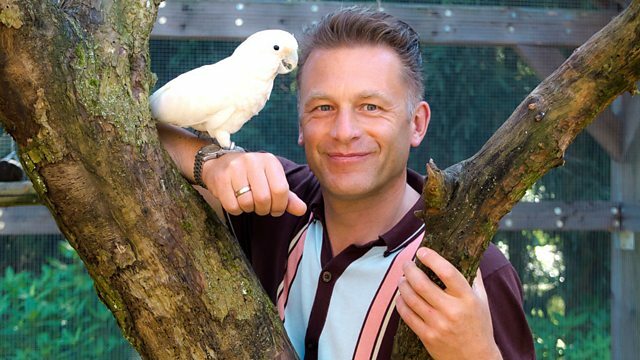 Chris Packham explores the minds of the cleverest animals on the planet, discovering the astonishing abilities of the best, and most unlikely, animal problem-solvers on the planet, crows. He witnesses a remarkable world first as they solve the most complicated animal-puzzle ever completed. And he uncovers the extraordinary range of animal intelligence: bees which navigate, cockatoos which pick locks and a brilliantly ingenious octopus. Are crows the ultimate animal problem solvers?